It’s so much easier to find desserts to have in summer. With an abundance of fruit available it is simple to throw something light and fresh together. Not to mention the ice-creams and sorbets to help cool down the hot days. But in winter? Finding something light and delicious that helps keeps you warm can be tricky. 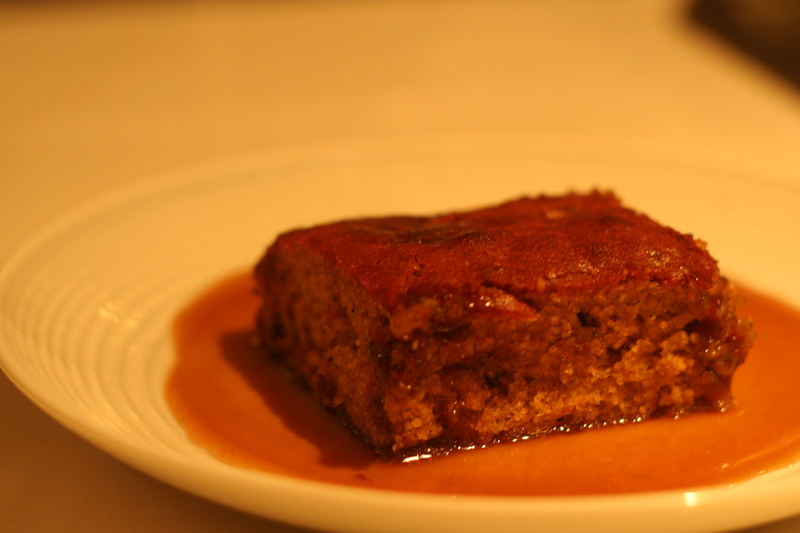 That’s why it can be good to stick with the classics: sticky date pudding. I love this recipe. It’s simple and fast to make and the resulting pudding is rich and moist and not at all heavy. 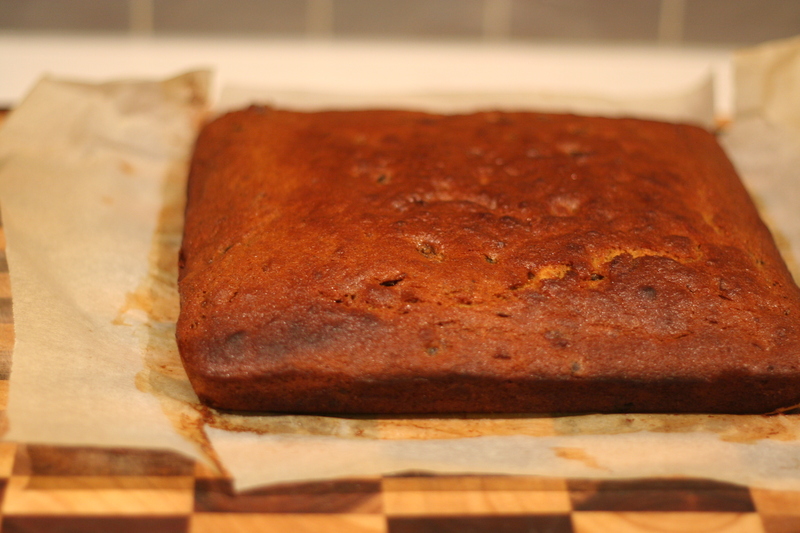 I adapted a Donna Hay recipe by adding vanilla and using chopped dates rather than processing them as she suggests. I love that you get small chewy chunks of date throughout the pudding but if this isn’t your style, feel free to blend them before adding to the other ingredients. The butterscotch sauce is incredible. Do make sure you use a large saucepan to allow the mixture to boil properly without making a mess of your stovetop. The creamy and rich sauce pairs so well with the light and fluffy pudding that it’s hard to only have one piece. Best served with thick cream or ice-cream. 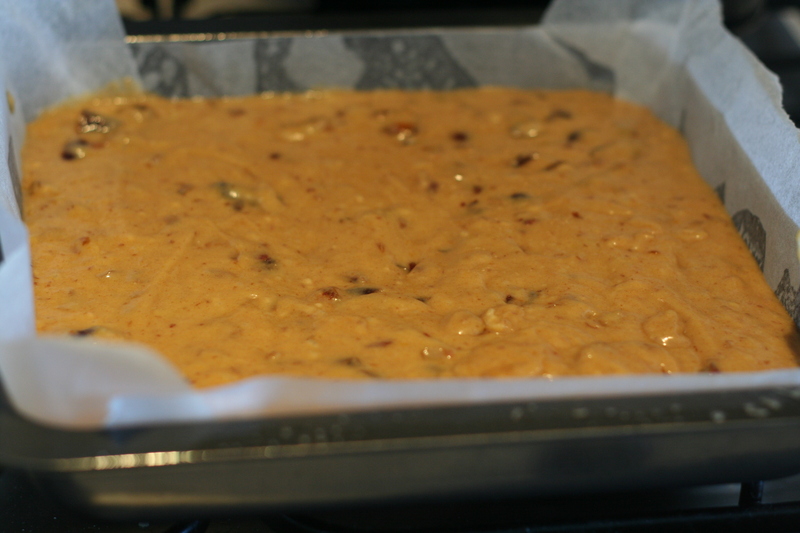 Preheat oven to 180° and prepare a baking tin (26 x 16cm) with baking paper. Place the dates, hot water and baking soda in a bowl and allow to sit for 5 minutes. Cream butter and sugar in a mixing bowl then add the eggs and vanilla and mix well. Pour in the dates with the liquid and stir to combine. Sift in the flour and mix until smooth. Pour into prepared tin and bake for 30-35 minutes. Allow to cool in the tin for 10 minutes before cutting and serving. Use this time to prepare the butterscotch sauce. Place all the ingredients in a large saucepan over medium heat. Stir until melted and then increase the heat to bring the mixture to the boil. Allow to cook for 5 minutes, stirring constantly, until the mixture thickens. Pour over pudding and serve with cream or ice-cream. Yum. 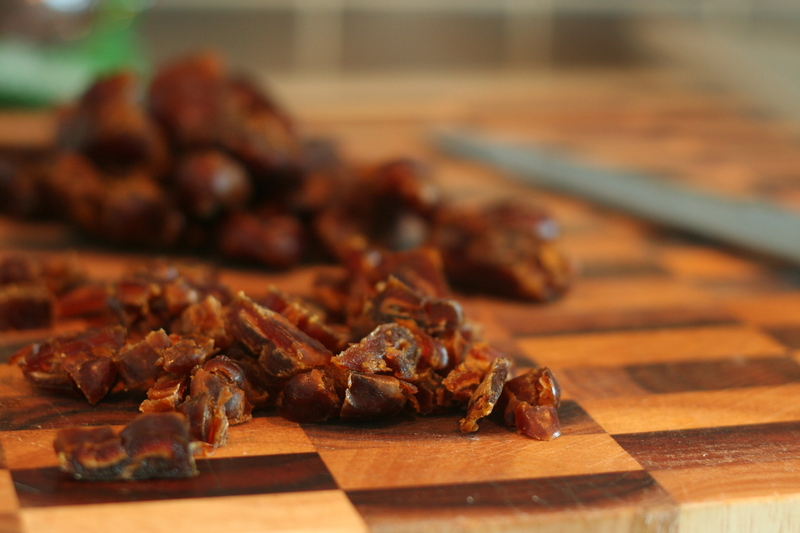 I love the idea of using chopped dates instead of blending, I’m sure it would make for a nice texture. 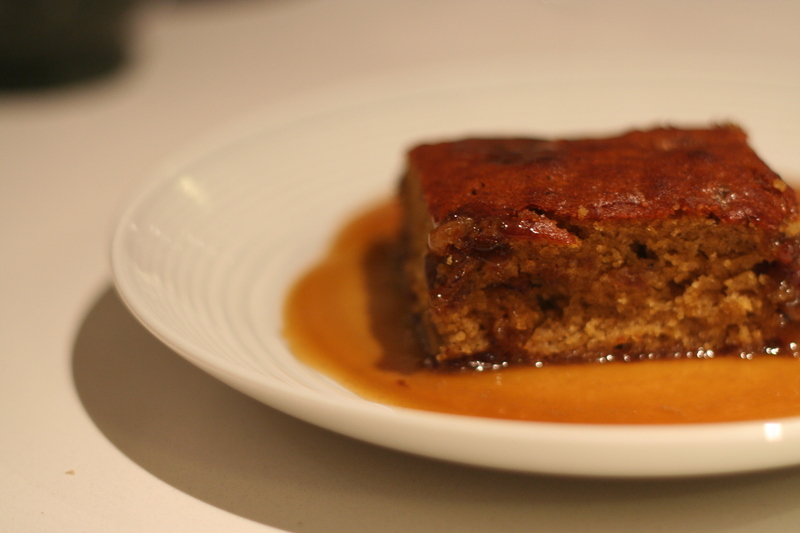 I’ve never been a big fan of sticky date pudding. I put it down to not having found the “one” yet.. but I wouldn’t mind trying yours! So totally trying this next weekend.. Do you think it would work in a 9 inch x 9 inch square? Or should I alter some proportions? Awesome, I’ll be sure to link you and let you know how it turned out. Just the thought of anything with “sticky” and “toffee” in the same recipe makes me go weak in the knees..